One of the most imposing mountains in the Dolomites, bare fortress which looks over Val Fiscalina Alta, Val di Cengia and Val Giralba. Two days to fully appreciate the lonesome presence and enjoy 360° view from the top. The route follows in steps of Michael Innerkofler from the distant 1877. 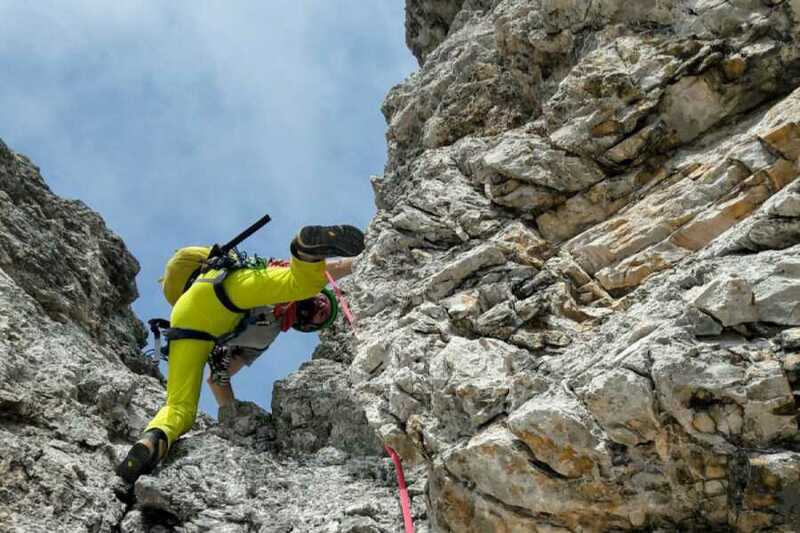 It’s a long route, not overly difficult in technicality, set in the magnificent natural environment, which in addition to consolidated climbing skills requires exceptional agility and a bit of hunch. 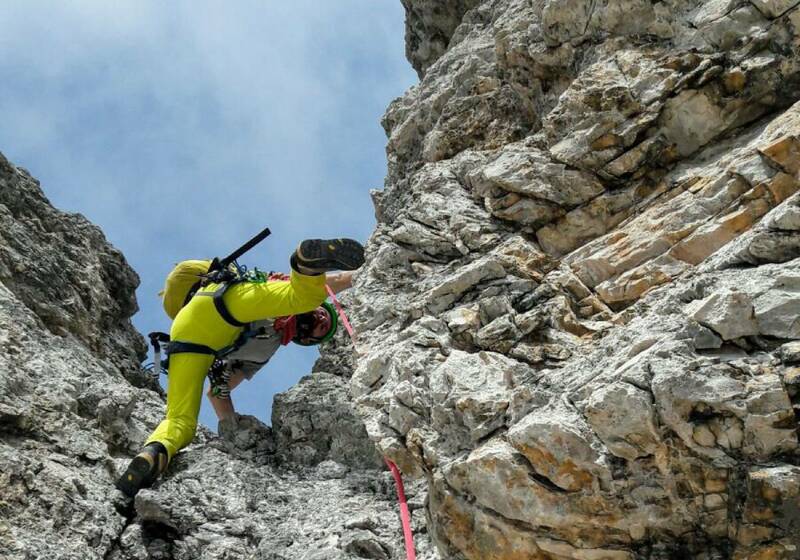 Climbing route from past times, beautiful and varied, retracing the steps of one of the pioneers of Dolomite’s climbing. An alpine day, with a capital A, made of long climbs, hours stuck on the rocks, strong emotions and unforgettable moments. It’s a long, difficult and one of the more complex normal routes, dotted with numerous rock faces, which make this route almost a pure rock climb. A strenuous and slow way up, requiring constant concentration in search of your next best step. You’ll become a part of the rock, get to know it up-close and completely immerse yourself in it. We’ll set off from Zsigmondi-Comici early morning, after staying there overnight. From the Croda dei Troni crossroads we’ll quickly reach the normal route starting point, from where the next 5-6h you’ll literally blend with the rock. Descend will be faster, with double ropes and occasional rock faces, however always in need of highest concentration. Once we’ve reached the scree, the route has been completed, and we can slowly continue towards the refuge.